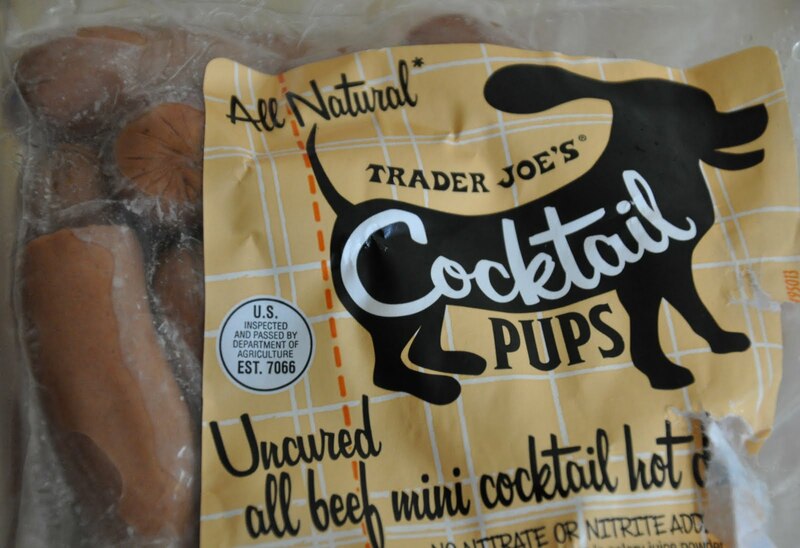 Alpha Cook: Trader Joe's Holiday Snacks! It's not too late. You still have plenty of time to over-indulge in tasty holiday treats made just for you by your good friend, Trader Joe. My top three seasonal favorites: candy cane Joe Joes, eggnog, and cocktail hotdogs. I never really paid attention to them until last year, when our friend bought a box and shared them with us. Much like Oreos, these chocolate sandwich cookies are filled with cream, and with tiny bits of peppermint candy. Now maybe they don't sound like much, but with the addition of TJ's secret addictive ingredient that they tend to slip into so many of their products, you're going to get hooked. Don't resist. And I don't know if I'm just imagining things, but I think they taste even better than they did last year. 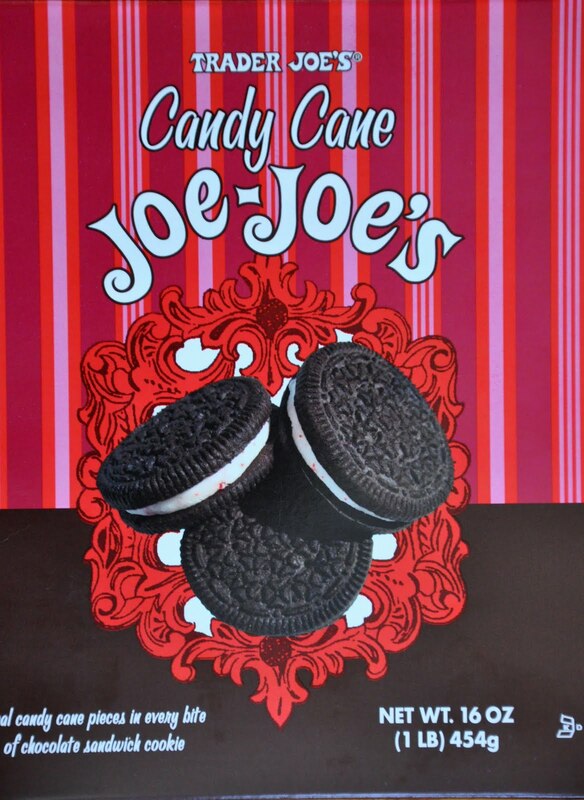 There are other flavors of Joe Joe's, but these are only available during the holidays, so stock up before it's too late. 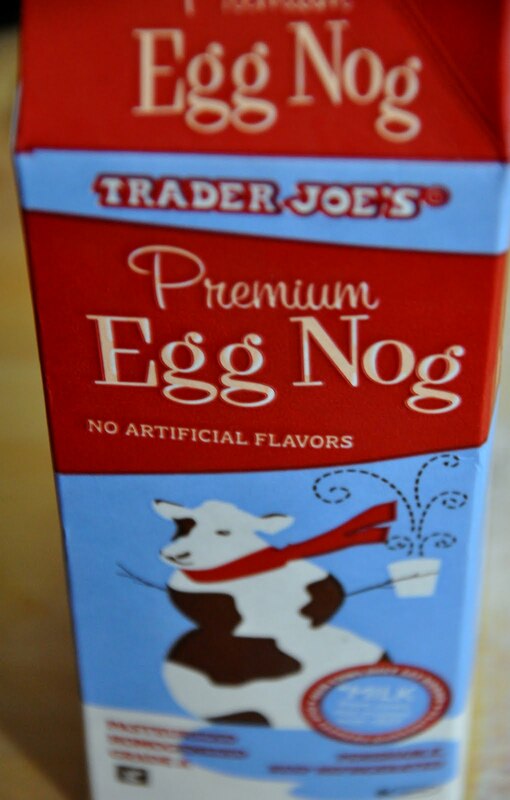 I'm picky about my eggnog, but if you're going to get store bought nog, I highly approve of the TJ's variety. It's thick and creamy, and though the calorie count is still high, I've seen worse. Much worse. A little fresh grated nutmeg on top before serving and you'll be all set. Small portions are recommended. If you've made it this far into the season without cocktail weenies in your menu, then you're wrong. Correct yourself. It's not too late—you have until January 1st to eat as many as possible and without enduring the judgment of your peers. It's an unwritten holiday rule that also applies to Hickory Farms products and any shelf stable cheese. Enjoy.